The popular and challenging Guía de Isora uphill rally will take place on July 25. 06.07.2015 - Contestants will race the length of the TF-463 which joins Playa de San Juan with the town of Guía de Isora – a long, winding and demanding route. Over 50 drivers are expected to participate and points gained in the rally count towards the Tenerife Inter-island championship. The road will close approximately two hours before the event starts around 9am. 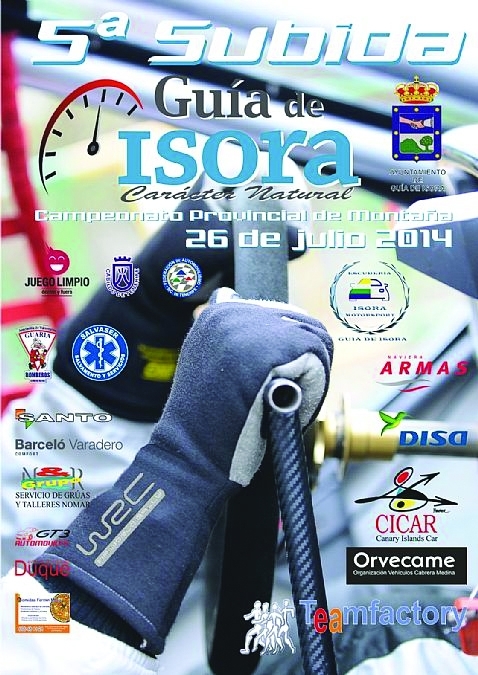 Organised by Escudería Isora Motorsport, you can email them on: isoramotorsport@gmail.com or keep up to date with developments at the dedicated website: www.isoramotorsport.com.